Not supergraphic per se, but a nice everyday integration of architecture and graphic design nonetheless. 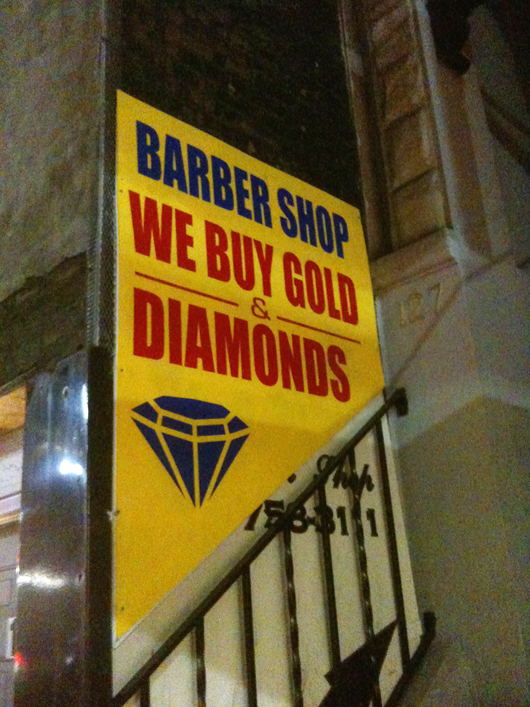 And an intriguing business model — I can get a haircut AND sell my unwanted jewelry? Awesome. "Not Right With God" diagram, recreated by the author. A trip on the subway is usually a passive public experience. The subway rider enters the car, finds a place to stand or sit and then assumes a solitary pursuit of reading, listening to music or staring at nothing in particular. Occasionally riders will chat, but in general the interaction between anonymous riders is minimal, limited to short exchanges mostly related to the shuffle of moving in, around and back out of a crowded subway car. 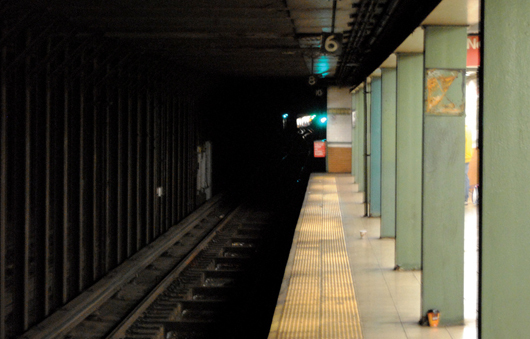 Certain subway riders, however, seek to activate the public space of the subway to promote their own political, personal or commercial agendas. These active citizens include aspiring musicians and youth dance troupes, religious proselytizers and critics of the government, and both the homeless and homeless aid organizations. The unique qualities of the subway are particularly useful to these groups. After all, the spatial constraints of a subway car produce an inherent captive audience rarely found in other forms of public space. The message of the active citizens is conveyed most often through proclamations or performances that interrupt the otherwise solitary subway experience. The musician invades the relative quiet of the car with her rendition of “Me and Bobby McGhee”; the youth dancers appropriate a space in the center of the car to display their skills; and the workers from dubious homeless organizations raise awareness of social issues as they collect “donations” and pass out sandwiches. Through an active disruption of normal conditions, the space of the subway car is transformed into a public stage, a pulpit or a political soapbox. The other riders may not acknowledge this transformation explicitly, but it is impossible to be unaware of the shift in atmosphere. Every so often, active citizens supplement their message with graphic accompaniments, most often crude signage or sometimes poorly designed pamphlets. These are usually secondary to the verbal message – a prop to set the scene, such as a cardboard epithet (an icon of being down and out), a quasi-official looking logo to legitimatize a dubious organization, or simply a reminder to take with you. On a recent subway trip, however, a particular active citizen, in this case a religious zealot, decidedly expanded the role of graphic design in his overall performance. Graphics were no longer a secondary support for his speech, but instead became the primary means of getting across his message. The zealot, after reading a particularly verbose passage from the Bible, acknowledged that the antiquated language of the religious text does not connect with contemporary subway passengers. But, not to worry, innovative graphics do! Having established the need to update the language of religious proselytization, the zealot produced two hand-drawn diagrams. 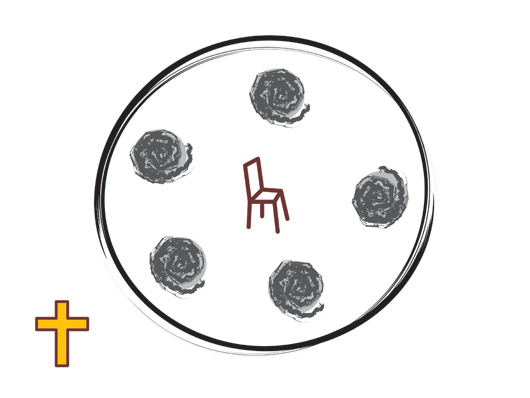 The first diagram, recreated at the top of the post, depicted the absence of God in one’s everyday life – a chaotic scene without much direction encircles the self-centered non-believer, represented for some reason by a chair. 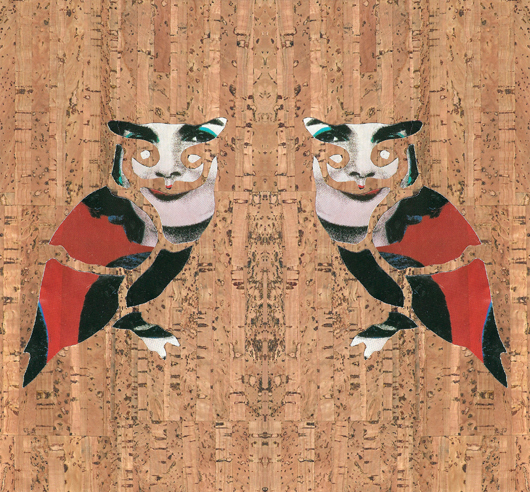 With the second diagram, shown immediately above, the zealot ­provided an alternative to the spiraling confusion of the first. By inviting God into your life (and into your chair), bewilderment would be replaced with focus and clarity and all aspects of your worldly experience would fall right into place. While the graphic quality of the diagrams may fall short from a professional design standpoint, the effort to convey the message as clearly as possible is definitely commendable. The diagrams also represent a certain democratization of design. Realizing the positive impact that design can have, an active citizen becomes an amateur designer in order to get his point across. This democratization, however, does not represent the degradation of design principles into a lowest-common denominator, “everyone’s a designer” scenario. Rather, an increased awareness and appreciation of the role of design in our everyday lives benefits both professional designers and ordinary citizens alike. 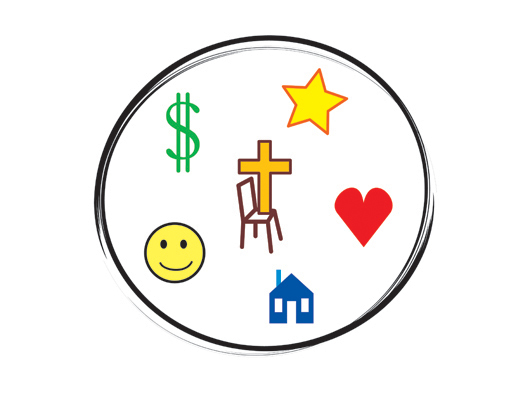 "Right With God" diagram, recreated by the author. 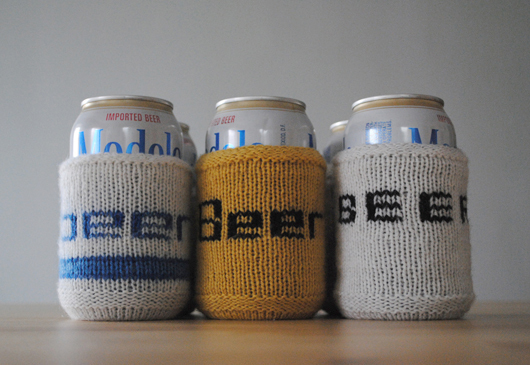 Inspired by generic grocery store packaging of the 1980s, the Generic Double-Knit Can Cozy is the result of my desire to contribute to a particular can cozy collection and my longstanding appreciation of the austere but pleasing simplicity of no-brand products. 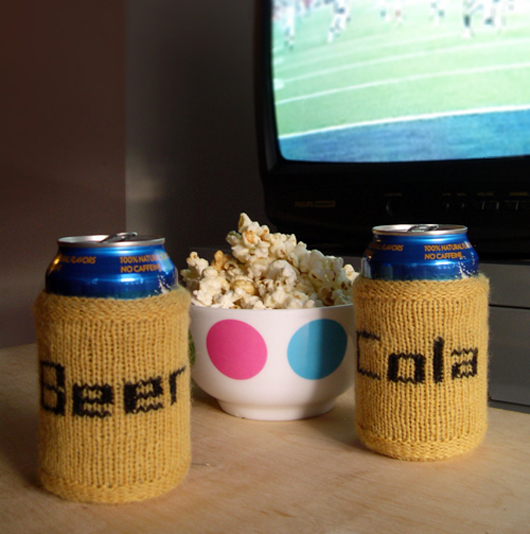 Reminiscently, these cozies combine generic styling with the handmade texture of double knitting. 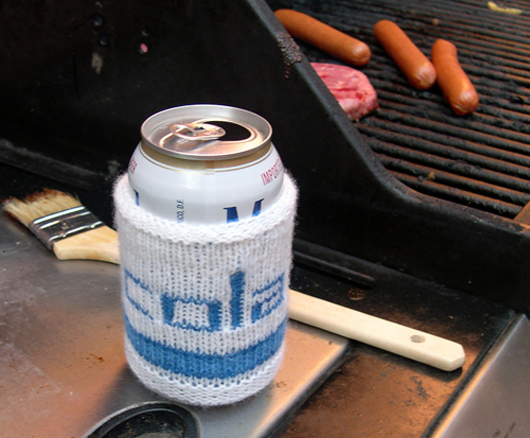 Double knitting in the round serves this project well: the doubled thickness provides additional insulation for the beverage can and double knitting allows easy integration of text in the pattern of the work. 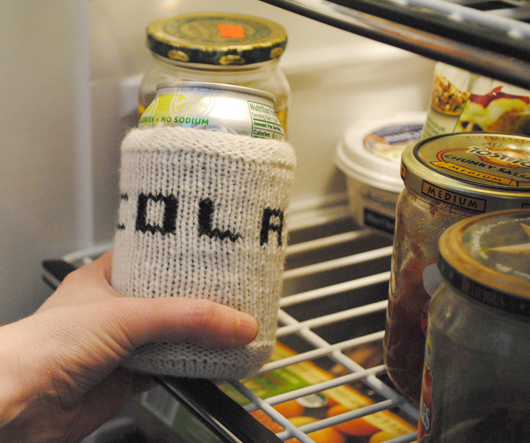 Seamless stockinette stitches at the inside and outside make this cozy a sturdy utilitarian object. And true to its inspiration, the materials for this project are extremely frugal — inexpensive yarn is all you need. Download the pattern as a PDF here. Cheers! A distinct quality of underground mass transit is its separation from the activity of the city that it serves. For maximum expediency and efficiency, subways necessarily require riders to enter into an isolated infrastructural system. Although spatially connected along an artery of conveyance, the physical relationship between stations within the system is only loosely perceivable. Traveling through a dark tunnel, distance is no longer perceived as a spatial relationship and instead is estimated as a function of time. Above ground, an understanding of the immediacy between stations in adjacent neighborhoods is often precluded by physical impediments and other visual barriers. 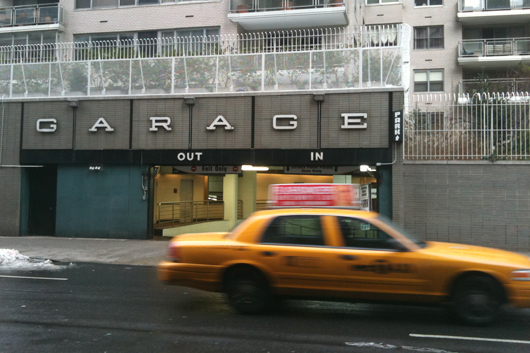 Yet, among New York City’s subway stations, a rare relationship exists between the Spring Street and Canal Street stations of the 6 Lexington Avenue Local Line: each station’s uptown train platform is visible from the other. 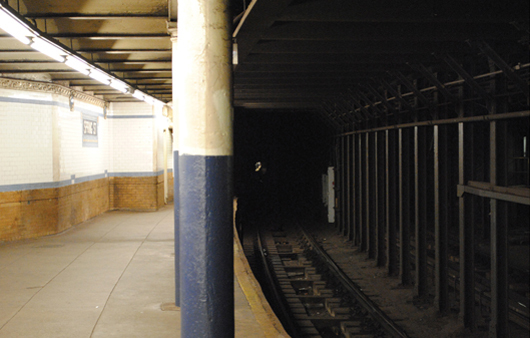 Standing on the platform and looking into the depth of the tunnel with an expectation of either complete darkness or train lights on the track, a blip – the platform beyond – is clearly visible instead. Indeterminable distance, coupled with the sharpness of an illuminated view surrounded by darkness, render the platform miniature. Infrastructure should not go without the inclusion of such subtle experiential delight, politely provoking contemplation of our reference point within the space of the city. Canal Street Station platform as seen from the Spring Street Station platform. Spring Street Station platform as seen from the Canal Street Station platform.